How does the PEO arrangement work? What are the benefits of using a PEO? What are the core services provided to Client employers? What is the difference between temporary staffing and a PEO arrangement? Does the business Owner or Manager lose control of his or her business? How many Americans are employed in a co-employment PEO agreement? Why would a worker of a small business want a PEO as a Co-employer? 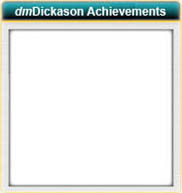 What will my employees think about getting their paycheck from dmDickason? Is a co-employee arrangement accepted by my insurance certificate holders? How does dmDickason help their clients control costs and grow their bottom line? How can dmDickason Staff Leasing Company help my company? What kind of payroll deductions are taken from my employee’s payroll? What do I do with the employee’s paperwork? Who is responsible for the employee’s wages and payroll taxes? What do I do with my state quarterly tax information for the first quarter after I have signed on with dmDickason Staff Leasing Company? What should I do when I receive a request for information regarding an unemployment claim? What is the future of the PEO industry? A Professional Employer Organization (more commonly known as a PEO or Staff Leasing Company) enters into a co-employer relationship with its clients, which allows them to share and manage many select employer-related responsibilities and liabilities. Clients outsource their human resources to the PEO, which provides an integrated and cost effective solution to the management and administration of the human resources services, employee benefits coordination, payroll administration, risk management services, workers’ compensation, claims management and unemployment claims handling. The average client customer of a PEO is a small to medium sized business with 10-150 worksite employees, though larger employers also find value in a PEO arrangement. Business customers include every single type of business from manufacturing, call centers, property management companies, doctors, lawyers, accounting firms, retailers, fast food and restaurants, engineering companies and every profession in between. In the relationship among a PEO the worksite employee and a client company, there exists a co-employment contractual relationship in which both the PEO (dmDickason Staff Leasing Company) and client company have an employment relationship with the worker. dmDickason and client company allocate some, and share other, traditional employer relationships and liabilities. dmDickason assumes responsibility and liability for the “business of human resource management”, such as risk management, a large part of personnel management and human resource compliance, unemployment claims administration and payroll and employee payroll tax compliance. The client company manages product development and production, marketing, sales and service (their business). forms, Policies & Procedures, better communication for employee grievance issues). ü Provides statutory protection to more employees. dmDickason Staff Leasing Company provides small to large sized companies with cost-effective solutions to effectively and productively manage their employees. Services range from consulting to a broad range of outsourcing of the client’s HR department where dmDickason can assume major employer risks and responsibilities. Please ask your dmDickason representative about our Silver, Gold and Platinum services packages. Outsourcing many of the above responsibilities to dmDickason enables our clients to regain focus on its core competencies, ultimately increasing value and competitiveness, lowering risk and overhead and ultimately raising profit potential for each client. What is the difference between temporary staffing & a PEO arrangement? A temporary staffing service recruits employees and assigns them to clients to support or supplement the client’s workforce in short-term special work situations, such as employee absences, special projects, increased workload, skill shortages or seasonal work. A PEO arrangement, however, involves all of a significant number of the client’s existing worksite employees in a long-term, non-project related employment relationship. dmDickason contractually assumes and manages many select employer responsibilities for all or a majority of the workforce. Co-employment is the contractual arrangement between the client and dmDickason Staff Leasing Company that allows dmDickason to provide a full range of services and to transfer or share select employer liabilities. Each party is responsible for certain employment obligations, and each party shares responsibility for other employment obligations. These responsibilities should be clearly defined in a good client-PEO services agreement! Workers become employees of two employers; the client retains supervision for the day-to-day activities and responsibilities of running their business while dmDickason assumes many of the responsibilities for human resources, including workers’ compensation and unemployment claims administration. Does the business Owner / Manager lose control of his/her business? As co-employers, dmDickason and the business Owner / Manager become partners in the employment of the workers. The Client retains complete ownership of the company. As co-employers, dmDickason and the Client contractually share or assume many employer responsibilities and select liabilities. dmDickason assumes a real and factual role. dmDickason is responsible for providing workers’ compensation insurance, claims handling, paying payroll and employment taxes, maintaining employee records, reserving the “ultimate” right to hire and fire, and possessing the authority to resolve employee disputes. By shifting these responsibilities to dmDickason, our client gains more command of the “core” revenue generating aspects of their business. It is estimated that 2-3 million American workers are currently employed in a PEO arrangement. PEOs are operating in every state and the industry has grown between 20-30% per year. Today, there are approximately 2000 PEO companies who are responsible for over $42 billion in sales revenue. Worksite employees seek financial security, a safe working environment, on-going / quality professional support and opportunities for retirement savings. PEOs may provide Fortune 500 quality employee benefits including health insurance, 401-(k) savings plan, and aggressive worksite risk management. Job security is improved as the PEOs economy of scale permits a business to lower employment related costs. Job satisfaction and productivity increases when workers are provided quality human resource services like employee handbooks, grievance procedures and improved communications. Honestly, they probably won’t know the difference. Although our name may be on a paycheck that is signed by our President, we will be happy to also place your name and logo on each employee’s check-stub. Most employees are typically only concerned as to whether or not the check will clear the bank. It is the check-stub that really matters most. The check stub is what most employees ultimately use to verify income, payment amounts, deductions, etc. It is the check stub that most creditors / lending institutions want to review – not the check itself. And, as stated above, this stub can be tailored to bear your company’s name and logo. Absolutely. dmDickason will make requests for certificate of coverage quick and easy. Just contact your human resources professional at (915) 532-9400 and we will take it from there. dmDickason’s economy of scale enables each client to lower employment costs and increase the business’s bottom line. The client can maintain a simple in-house Human Resource infrastructure, or, none at all by relying on dmDickason. The client can also reduce hiring / payroll and benefits overhead by not having to hire a full-time Risk / Safety Manager, Payroll Manager, Unemployment Claims Coordinator and / or Human Resource Manager (not to mention additional support staff, additional payroll taxes, benefits, supplies and office space). The Small Business Administration reports that the business Owner or Manager spends roughly 7% to 25% of his / her time just handling employee related paperwork. Add it up – the “business of employment” can become very expensive, very quickly! Instead, the professionals at dmDickason can provide critical assistance with employer compliance, which also helps protect the client against costly liability litigation. Finally, dmDickason provides time-savings (to you) by handling many routine and redundant tasks for you. This enables the business Owner or Manager to focus his / her time on the company’s core competency and grow its bottom line more proactively. Today, small business owners want to focus their valuable time, attention and energy on the “business of their business” and not on the “business of human resource management”. As businesses grow, most small business owners do not have the necessary human resource training, payroll and accounting skills, knowledge of regulatory compliance, or backgrounds in risk management, insurance and employee benefit programs to meet the demands of being a progressive employer. dmDickason, however, is in the “business of human resource management” and as we focus 100% of our time on the “business of our business”, we are, in reality, improving your business by providing you with integrated and cost effective solutions to help you meet the critical demands of human capital management. Deductions may vary by state, however, most states allow the following: voluntary deductions (i.e., health insurance, dental insurance, vision insurance, 401(k) section 125), and non-voluntary deductions (i.e., Medicare, Social Security, garnishments, child support and IRS levies). A dmDickason human resources representative will assist the new worksite employee with completing dmDickason’s new employee enrollment forms. These forms can be found by clicking on “get forms” found at the top right hand side of our home page. These completed forms can be emailed to dmDickason for expedited entry into our computerized payroll system; however, an original signed copy of these forms must be immediately returned to dmDickason before the new employee can be paid. The client should retain a copy of these documents; however, dmDickason will properly store, maintain and manage all government mandated records on all worksite employees. dmDickason assumes responsibility and liability for payment of wages and compliance with all rules and regulations governing the reporting and payment of federal, state and local (if applicable) taxes on wages paid to its employees. The Internal Revenue Service recognizes dmDickason as the employer for federal income and unemployment taxes, and case law affirms the principle that dmDickason is the responsible party. As the employer for employment tax and employee benefits, dmDickason assumes responsibility and liability for payment of state unemployment taxes. Texas and New Mexico, as well as other states, recognize dmDickason as the responsible entity. dmDickason will report all unemployment tax liability under our tax number. When you become a part of the dmDickason team, your company may no longer have employees to report. If all of your employees are co-employees with dmDickason, simply mail your 941 quarterly tax form back to the state, reference that your employees are now with dmDickason Staff Leasing Company, and mark “final return” on the form. If you paid employee wages for any time during the quarter, you are still responsible for reporting those wages and paying appropriate taxes. If you receive a state unemployment claim form request, you should immediately contact dmDickason’s human resource department or dmDickason’s unemployment claims coordinator. Please understand that all claims must be answered within a (short) state mandated period of time. Promptly fax the unemployment form to dmDickason Staff Leasing Company at (915) 532-5830, Attention: Human Resources. dmDickason will obtain information from you as to why the employee was terminated, and will appropriately respond. Many states recognize dmDickason as the employer of worksite employees for the purpose of providing workers’ compensation coverage. Texas and New Mexico are among those that do. You, the client are; however, dmDickason provides worksite employees and co-employers with on-going guidance within the entire spectrum of employment laws and regulations, including federal, state and local discrimination laws, Title VII of the 1964 Civil Rights Act, Age Discrimination in Employment Act, ADA , FMLA, HIPPA, Equal Pay Act and COBRA. In some cases, these laws would not apply to workers at a small business without the PEO relationship since many statutes have exemptions based upon the number of workers in a workforce. Once included in the dmDickason’s workforce, the workers are protected by these laws. American business is undergoing a fundamental change in human resource management and the PEO industry is one response to market demands for change. The expertise required to manage the human resource elements of a small to mid-sized business has outgrown the experience and training of many entrepreneurs who started these businesses. The PEO industry is demand driven as business owners seek solutions to the increasingly complex “business of human resource management”, as PEOs are one of the growth industries of the 2000's. It’s simple. Please complete and submit dmDickason’s on-line “Request for proposal” by clicking on “Free Quote (RFP)”. Once received, a dmDickason representative will immediately contact you for an appointment to discuss our program. If you feel that our services are in your best interest, a client services agreement will outline dmDickason’s and your responsibilities, rates and terms. Immediately thereafter, a dmDickason human resource representative will be assigned to your company to conduct a new employee sign-up and orientation. Payroll processing of all new employees will begin the following pay period. Workers’ compensation insurance coverage will apply when the new employee has provided all necessary new hire documentation and is properly entered into our computer / payroll system and receives a new employee number. How fast this process takes depends entirely on you. We are prepared to get started today. To get started, just click here and send for your free quote.